Everyone loves knitted socks. They are like a right of passage for knitters. 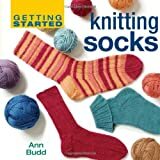 Socks tend to be knit on double pointed needles, although you can also used circular needles. A popular method for sock knitting is Magic Loop knitting. Socks should always be knit in a yarn that is durable and can hold up to the wear and tear socks are typically subjected to. 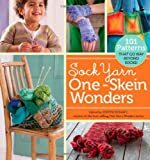 These knitted sock patterns include some basic simple sock designs as well as complex pattern designs. Intermediate/Advanced. Socks with intarsia in the round. Beginner. Knitted toe-up with a short row heel - with decorative intarsia rectangles. Gauge: 0.0 stitches per inch or 0.0 stitches per 4 inches. Gauge: 3.5 stitches per inch or 14.0 stitches per 4 inches. Intermediate. Knit flat and seamed, these have a better fit than traditional dorm boot slippers. Intermediate/Advanced. These are thigh high lace stockings. Beginner/Intermediate. Pia ballerinas are easy to knit, beautiful and complex looking stockings that are very customizable. Gauge: 7.5 stitches per inch or 30.0 stitches per 4 inches. Beginner. A basic pattern for socks of any size. Gauge: 6.0 stitches per inch or 24.0 stitches per 4 inches. Gauge: 8.0 stitches per inch or 32.0 stitches per 4 inches. Beginner. Basic sock pattern suitable for beginner knitters. Gauge: 9.25 stitches per inch or 37.0 stitches per 4 inches. Gauge: 9.0 stitches per inch or 36.0 stitches per 4 inches. Beginner/Intermediate. Relatively simple socks for beginners that will knit up fairly quickly. Gauge: 7.25 stitches per inch or 29.0 stitches per 4 inches. Gauge: 7.0 stitches per inch or 28.0 stitches per 4 inches. Gauge: 6.5 stitches per inch or 26.0 stitches per 4 inches.